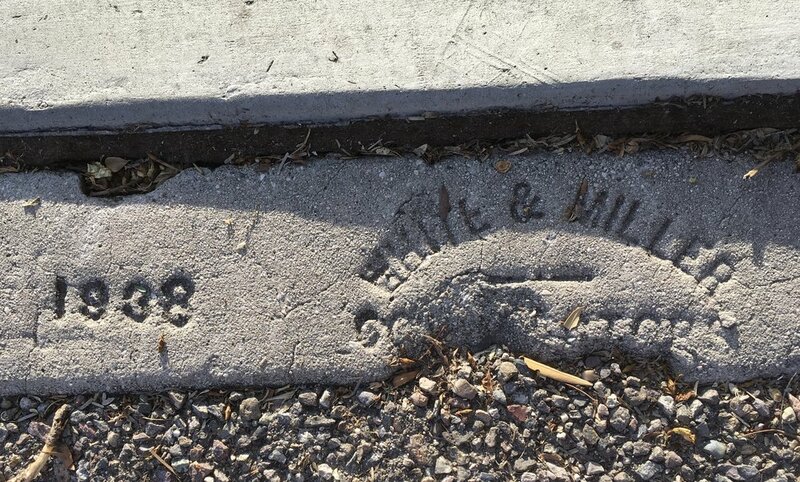 Almost 81 years ago the city and the Works Progress Administration, a Depression-era federal jobs program, began to construct sidewalks all over central Tucson. We're still walking on some of them. The city first tested the idea of WPA-built sidewalks in the fall of 1937 at two parks. Satisfied that it was a good investment, the program quickly expanded. Private property owners could band together to pay for the gasoline and oil needed by WPA work crews. The city supplied the rest of the materials. The first property owners to sign on were in Menlo Park, where 500 feet of sidewalk was poured north of Congress Street and south of Grande avenue. By the winter of 1941, the city reported that 19 miles of sidewalk had been built. You can still walk on some of them today downtown and around the UA. 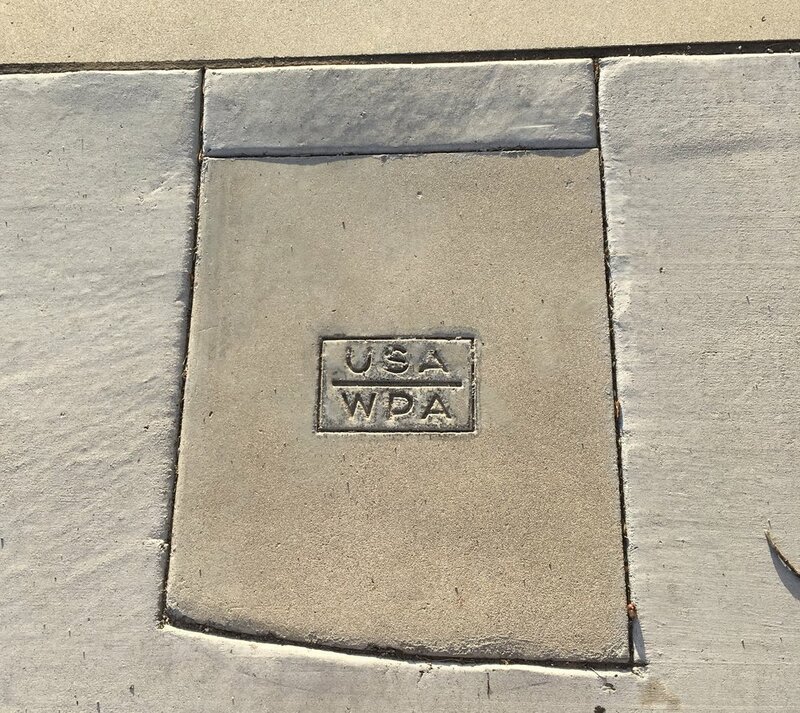 In a few places where sidewalks have been replaced, crews kept sections of the old concrete bearing the WPA stamp. Over at the university, the employees at Facilities Management show pride in sidewalks they've constructed, too. The 1930s were also a boom time for the construction of curbs to keep Tucson streets from turning into broad rivers during rains. Artists sign their work, so why shouldn't a contractor?